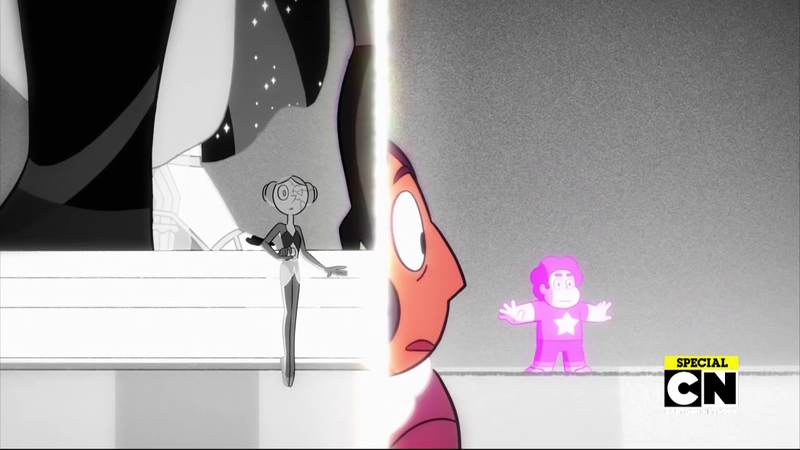 Ah yes, darkness. 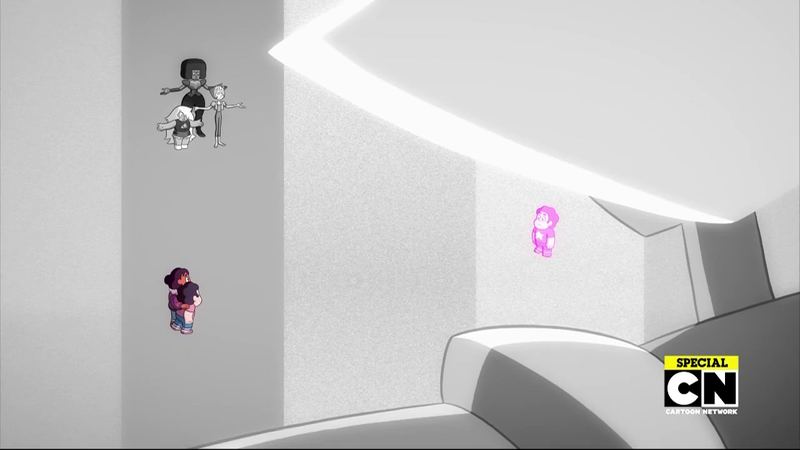 That's where we left off. 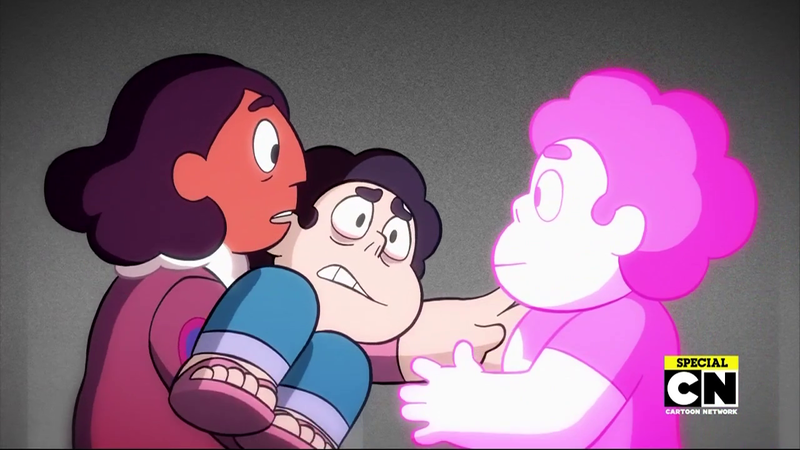 We all know Steven can't die die. 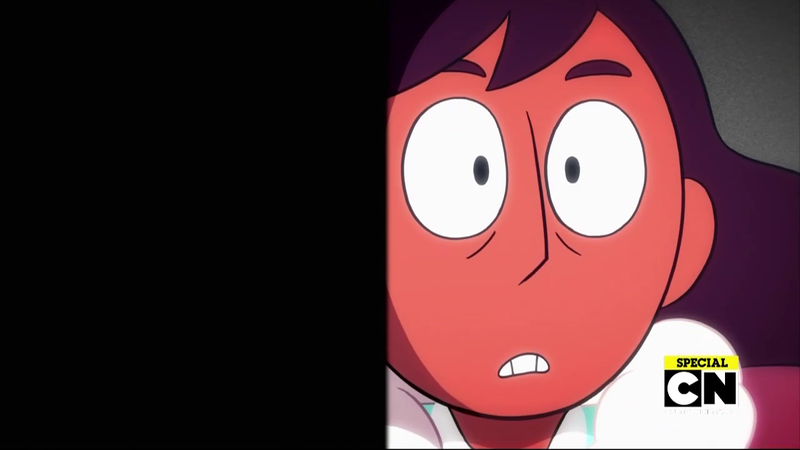 He's the main character. And there are only 11 minutes left! 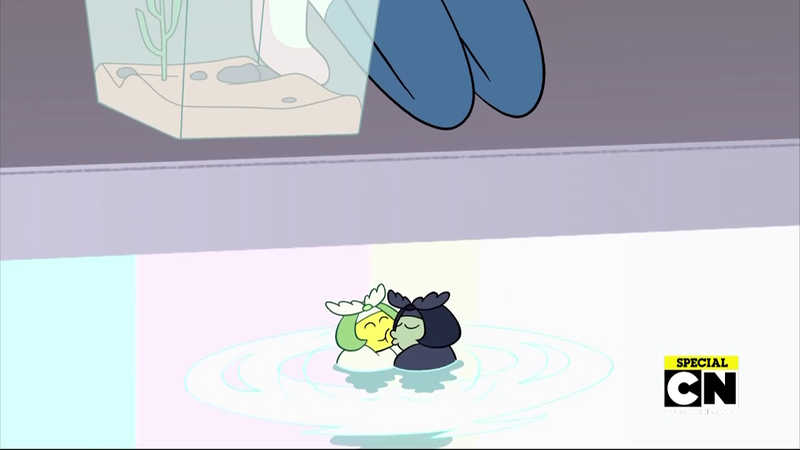 She took his gem out but he's still alive so... good news? 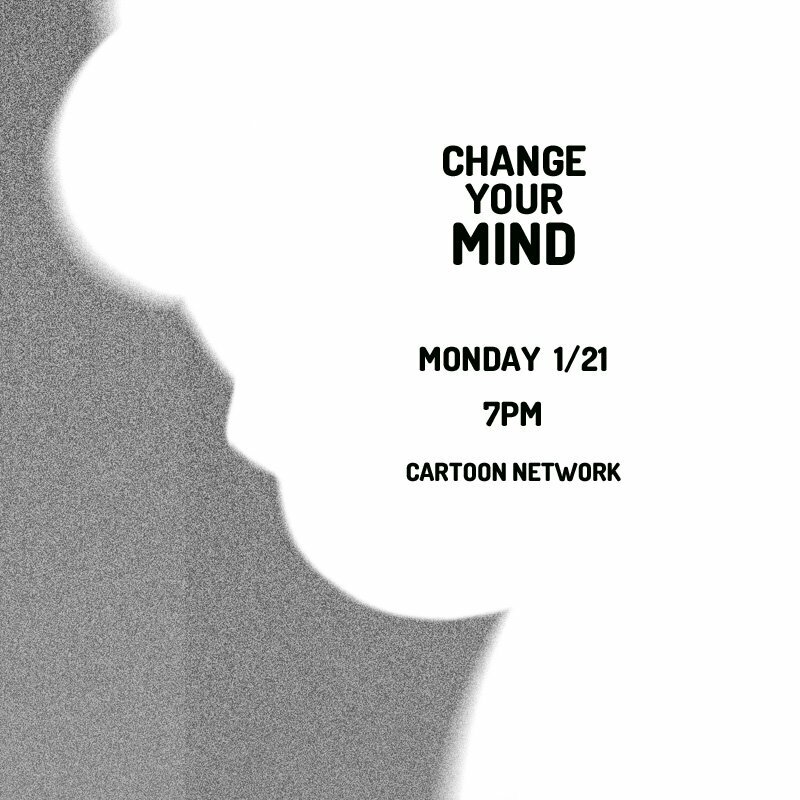 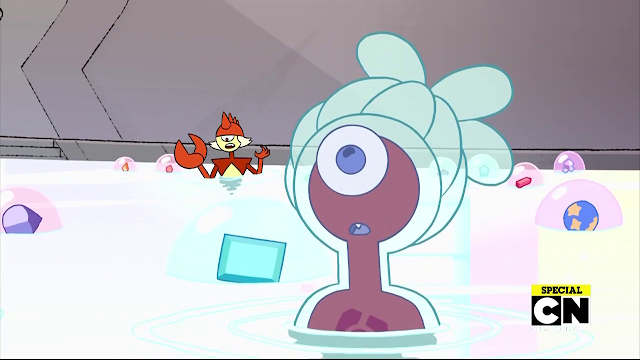 Oh this is what Cat Steven foreshadowed with the whole being blind in one eye thing. 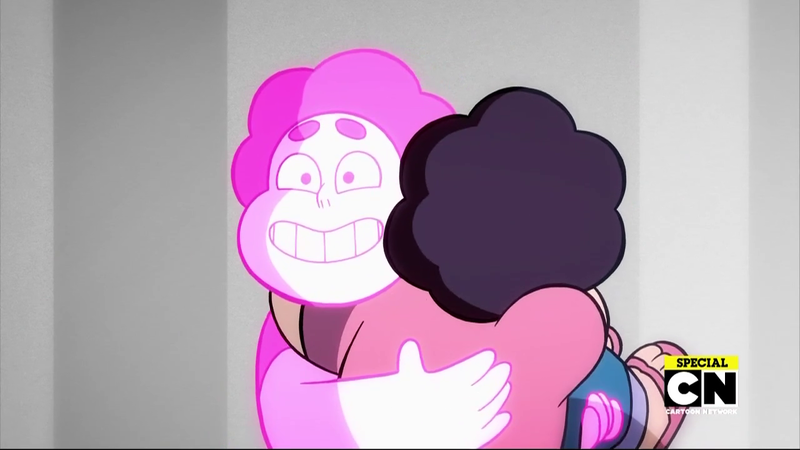 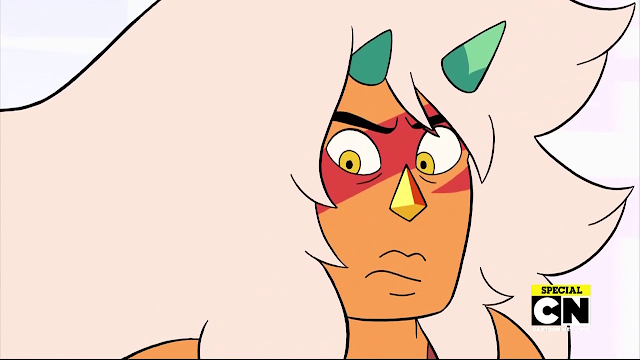 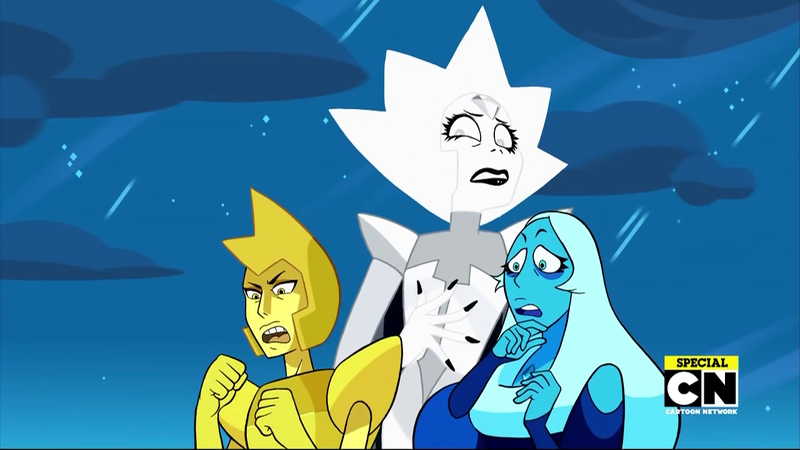 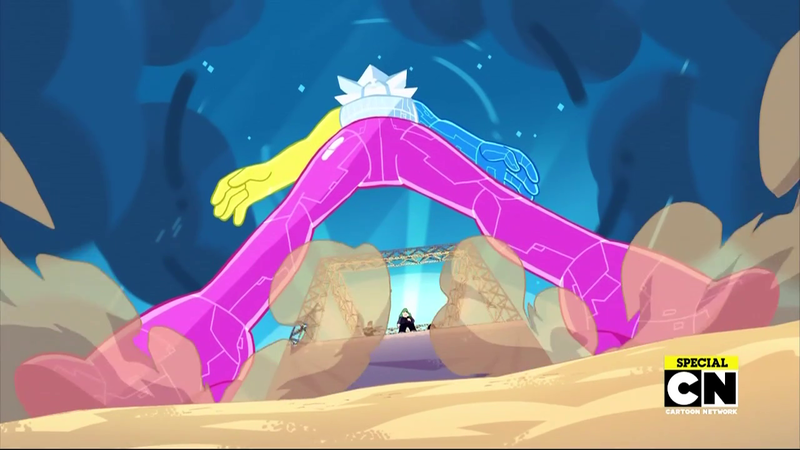 The gem reformed as Steven still??? 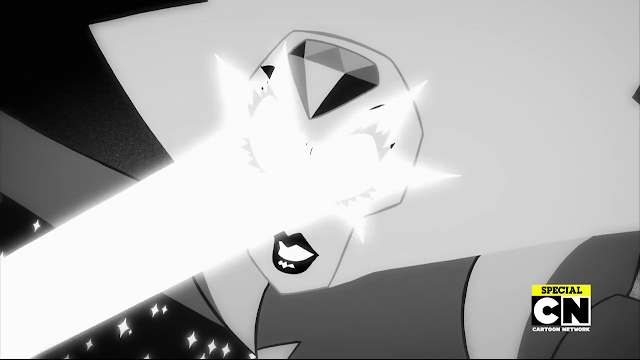 Oh that's where the other half of his vision went. 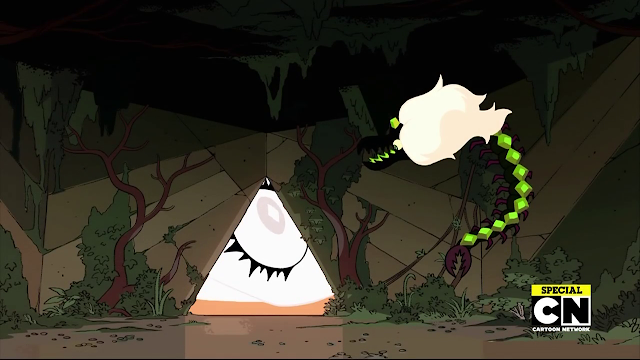 Honestly the way this entire scene is set up is masterful with the dual eye thing. 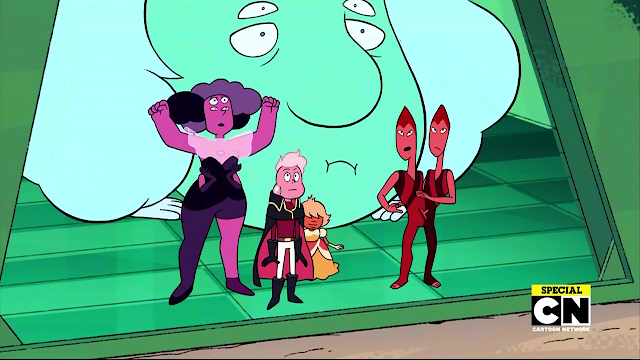 Okay Steven is not looking so hot. 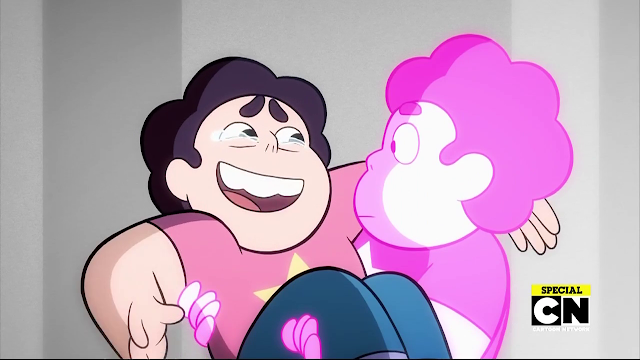 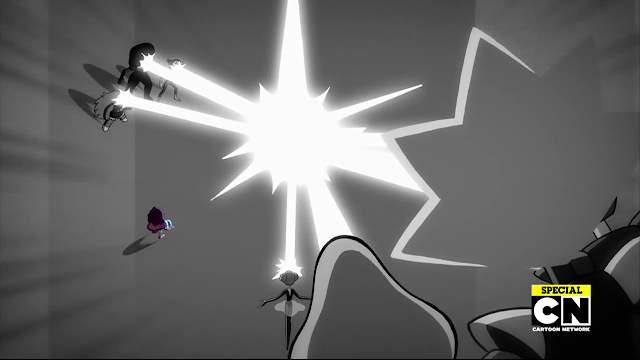 Gem Steven has gotten a huge power boost. You do it for him! 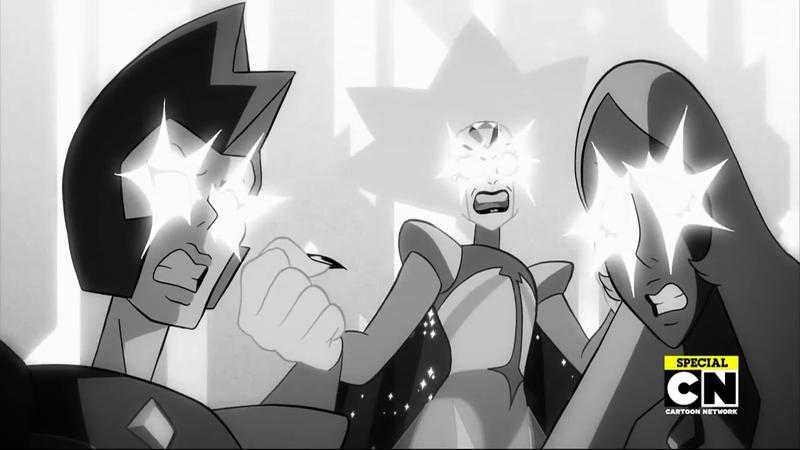 The eye blast never ends well. 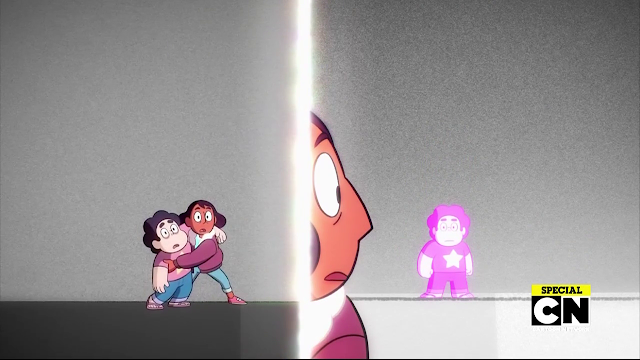 Okay now that's a new shield Steven hasn't used before. 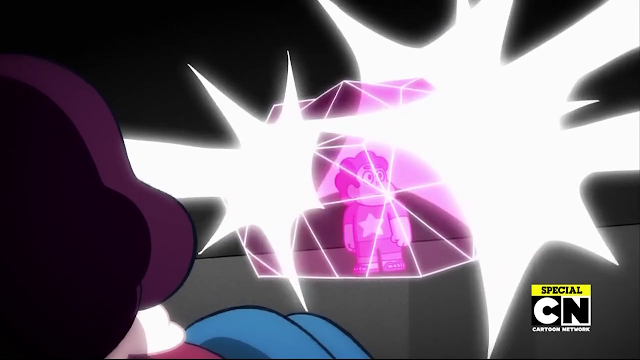 His D20 shield is like mega powerful! Some more exaggerated expressions from White! You can turn up the heat but I don't think this is your kitchen anymore. 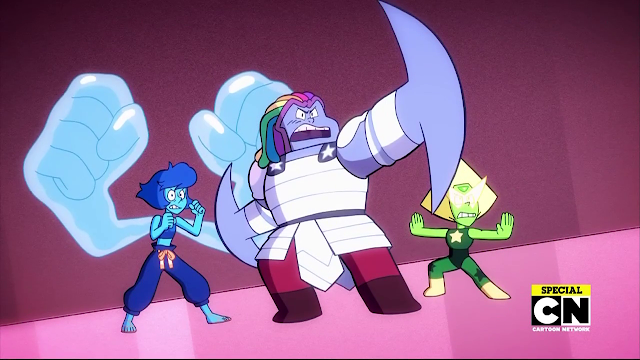 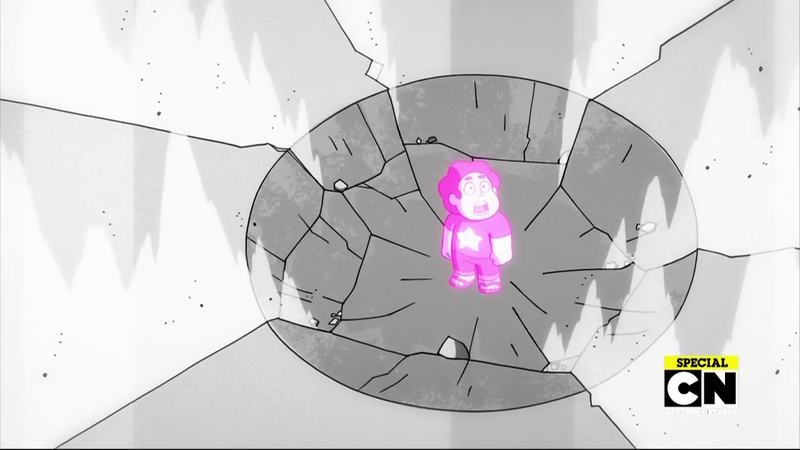 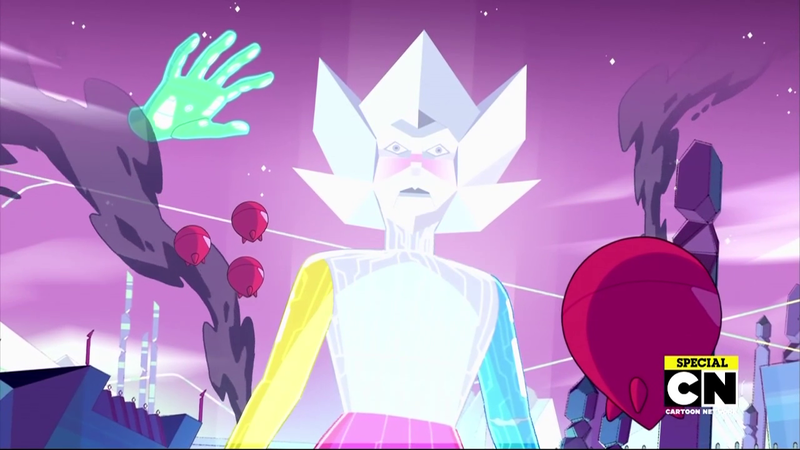 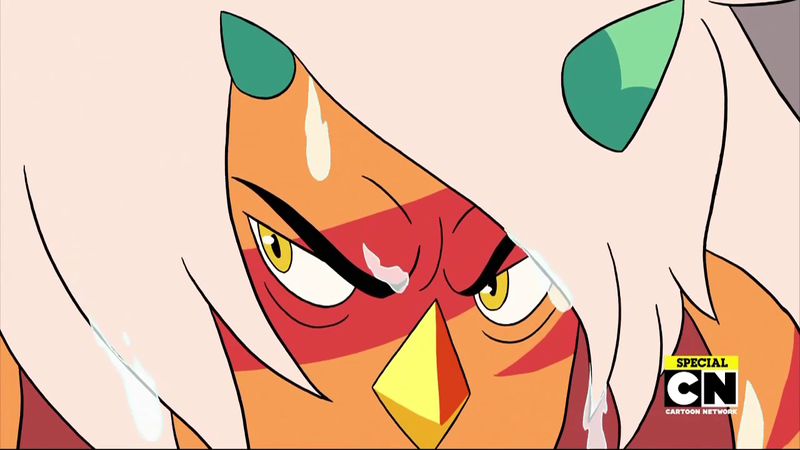 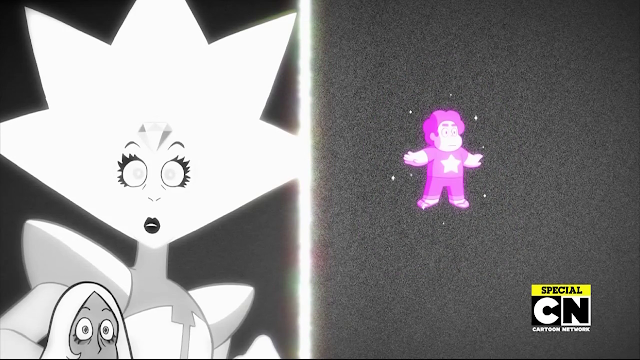 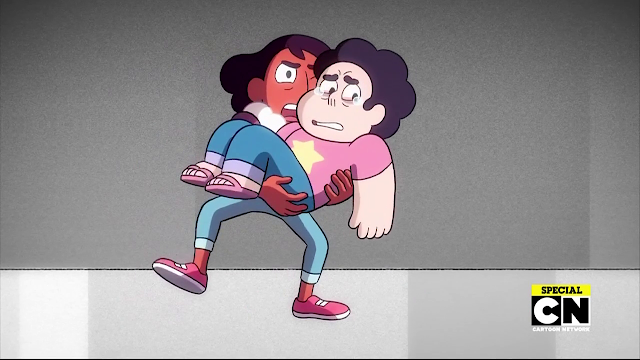 If gem Steven can survive this, imagine how powerful regular Steven could become. 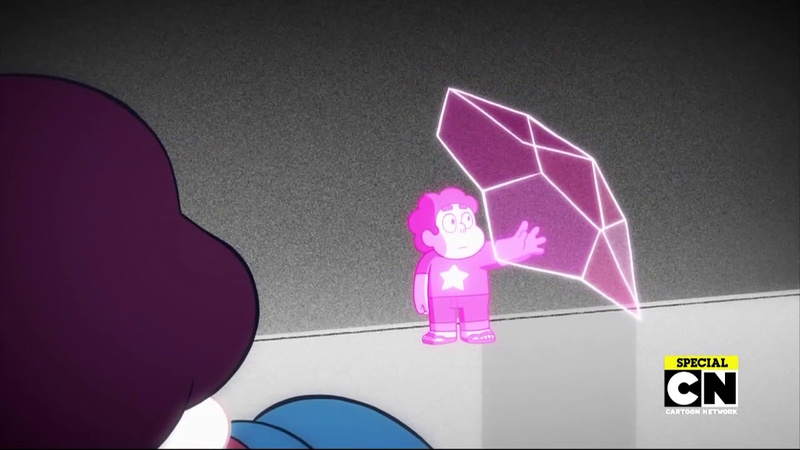 Please put Steven back together again. 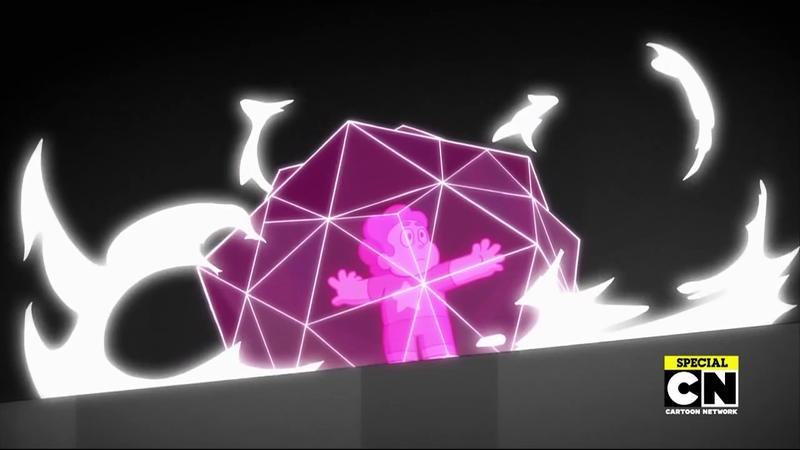 Did you all enjoy that super smooth animation in this scene? 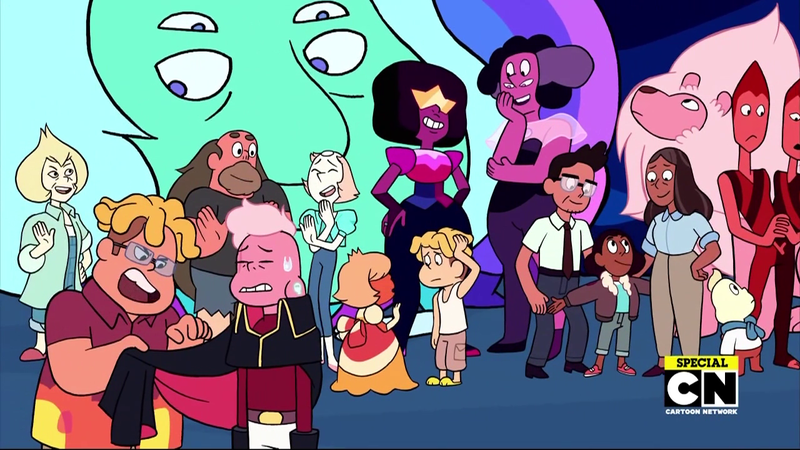 It was made by the same person who animated the ballroom scene in Beauty and the Beast. 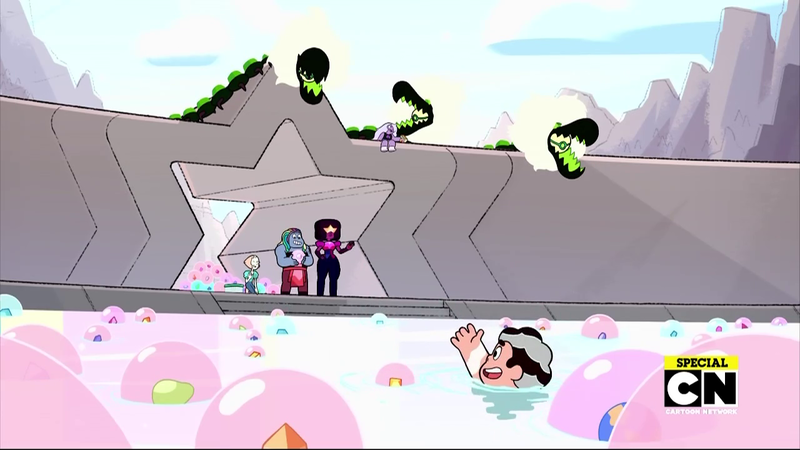 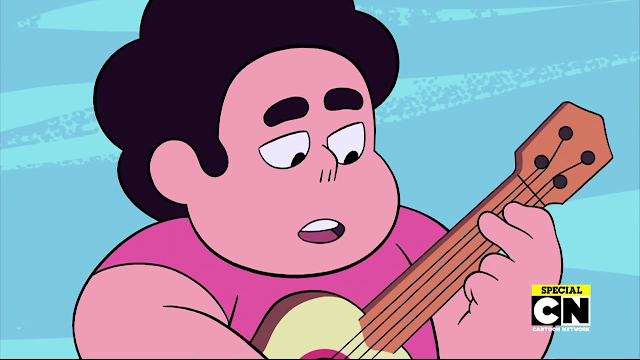 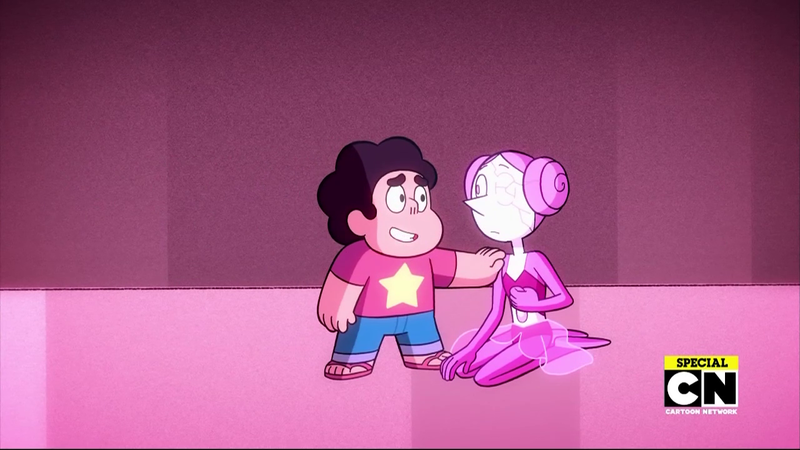 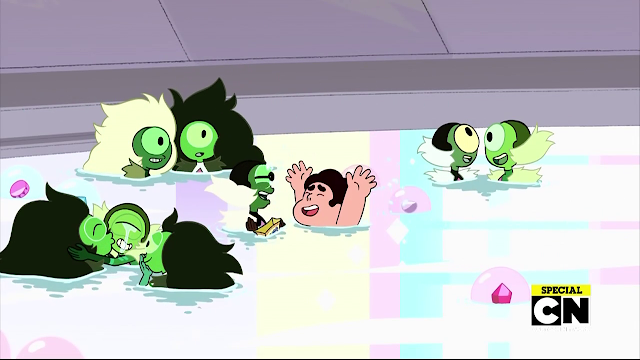 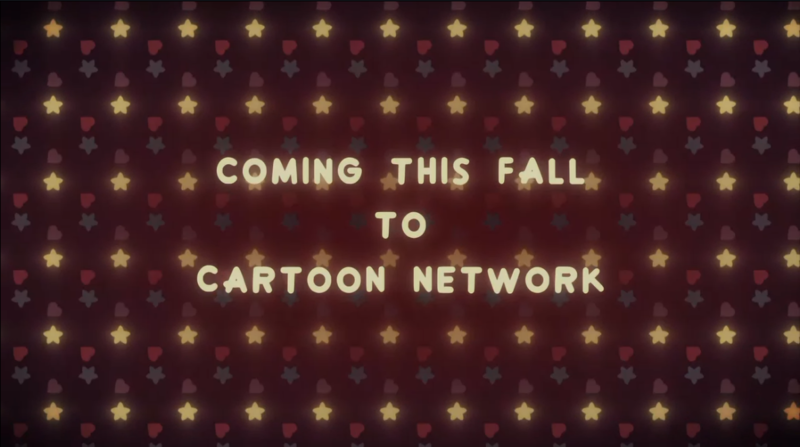 So does Steven still have a gem or what? 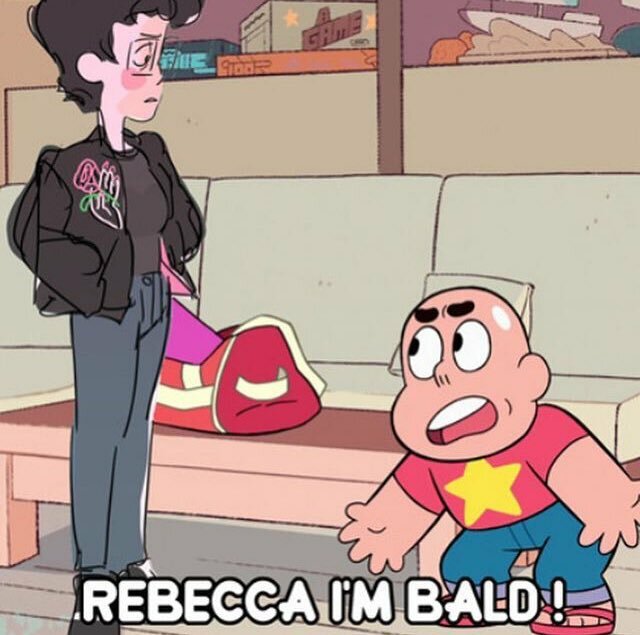 "I am a child.  What's your excuse?" 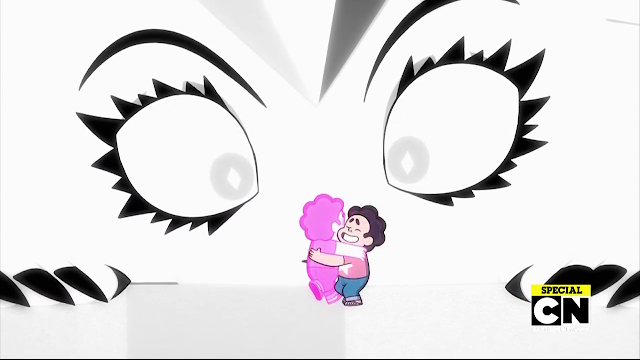 He owned her so hard she's blushing! Right, these guys were outside all this time. 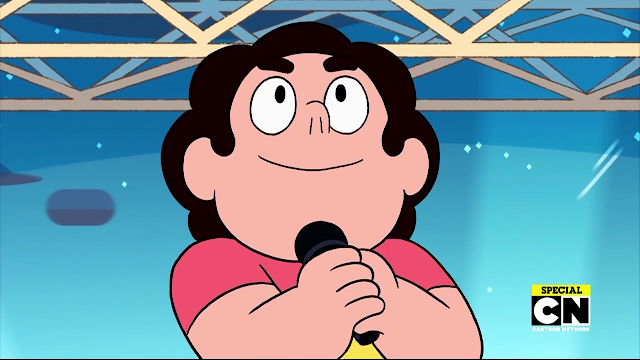 She's finally healed! 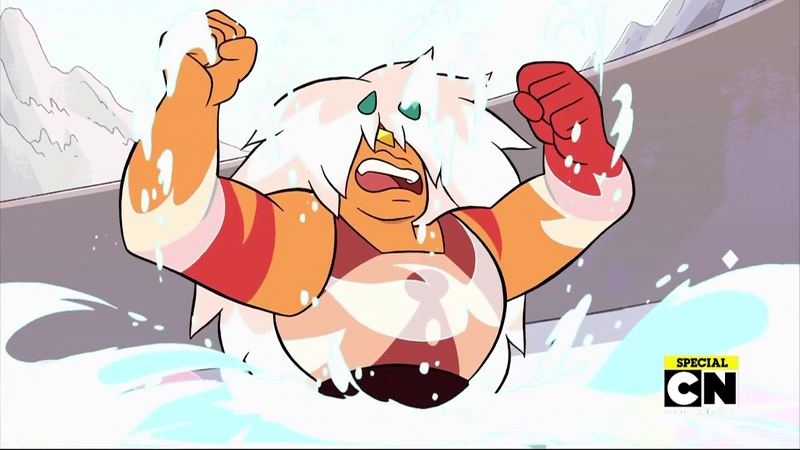 She's free! So is there a Green Diamond or do they just have some spare hand ships hanging around? 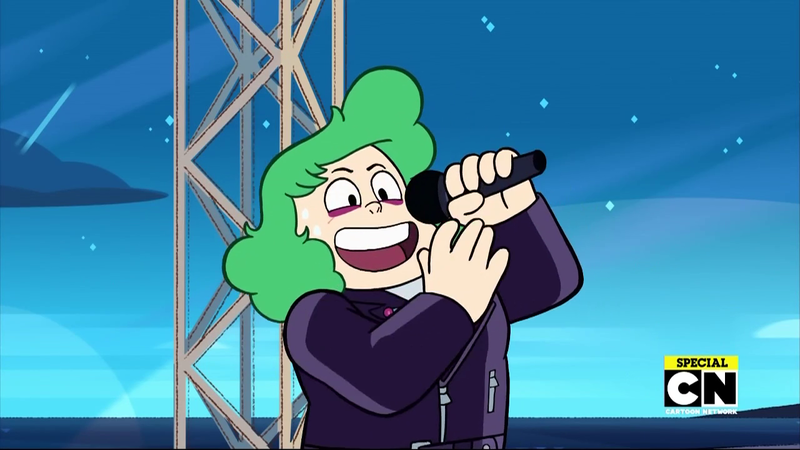 Sadie's doing a cover of Greg's song! And girl got a makeover! 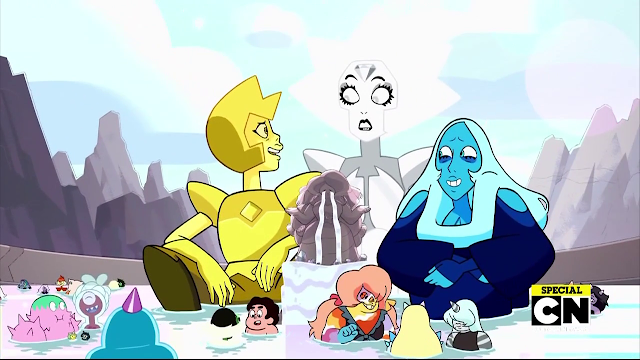 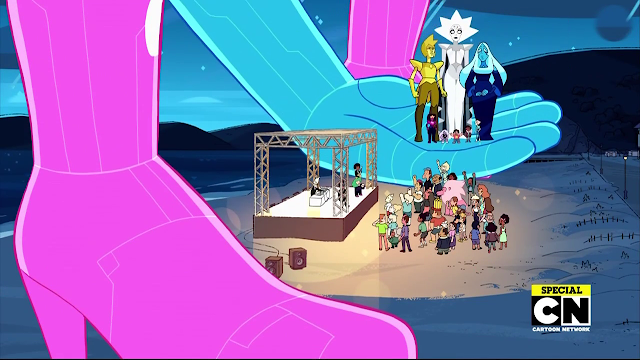 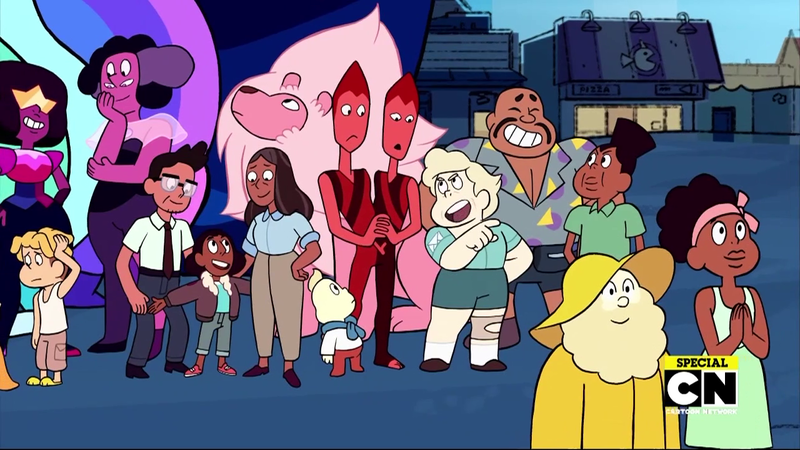 Okay SU analysts, time to make a new size chart now that you've seen all the gems next to Diamonds and all the Diamonds next to humans! 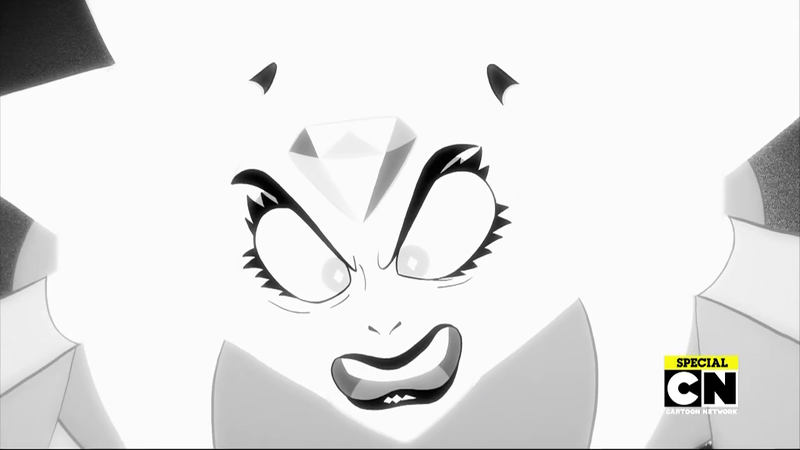 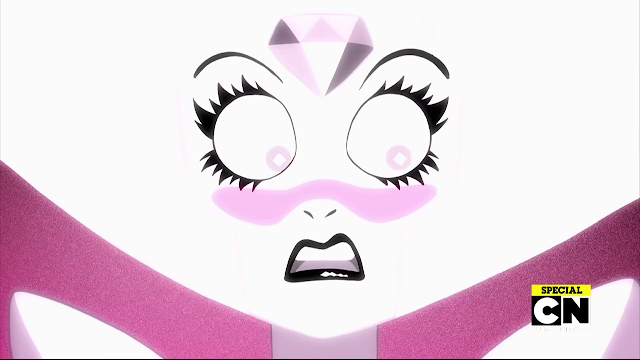 No more Diamond authority indeed. 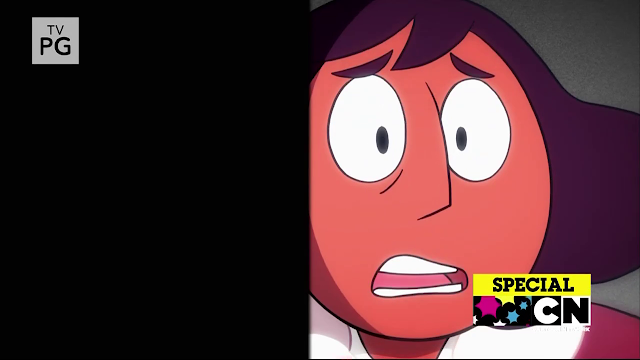 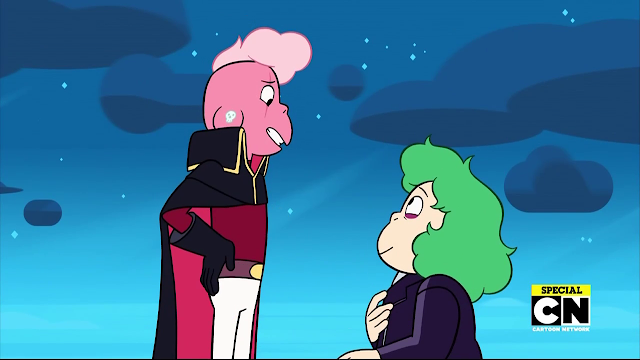 They really got spooked by Lars tripping. 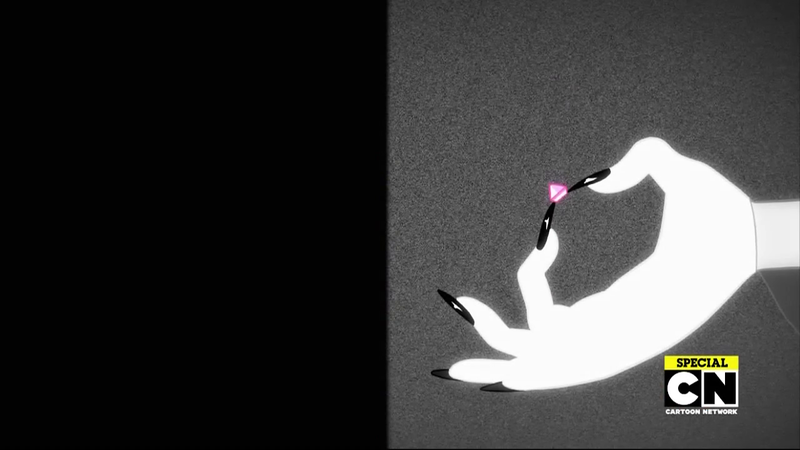 Aww, his feline undead sort of half brother or whatever. 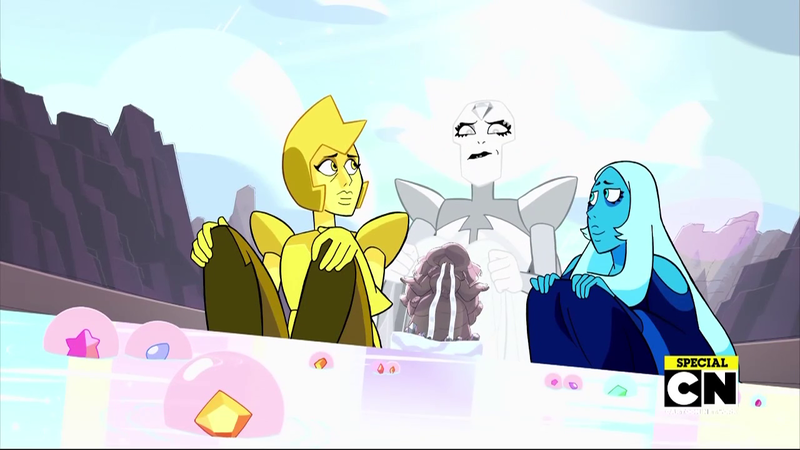 Immortals together! 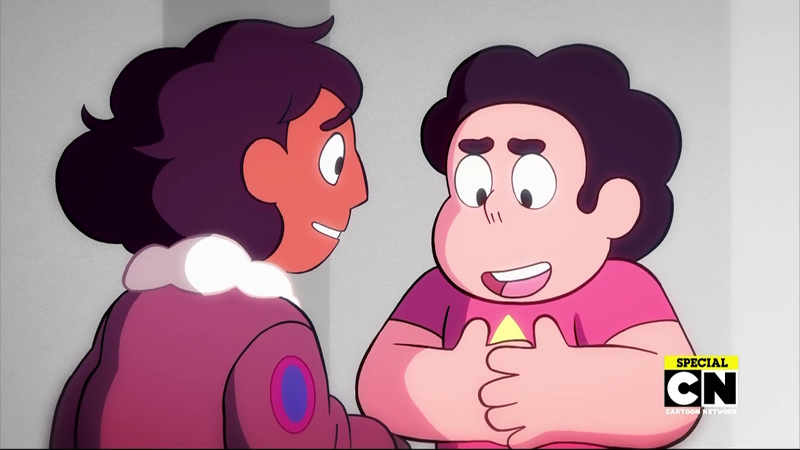 They both changed a lot in the last few months, huh? 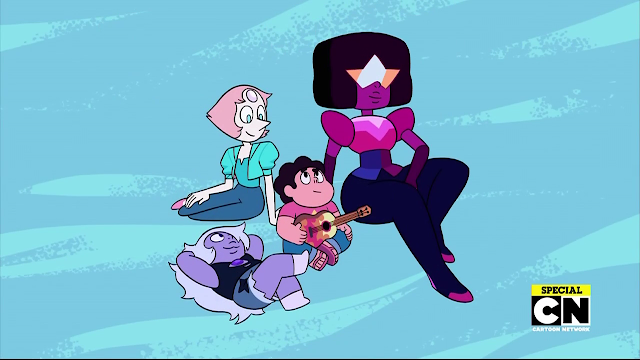 Did a little bit of growing up. 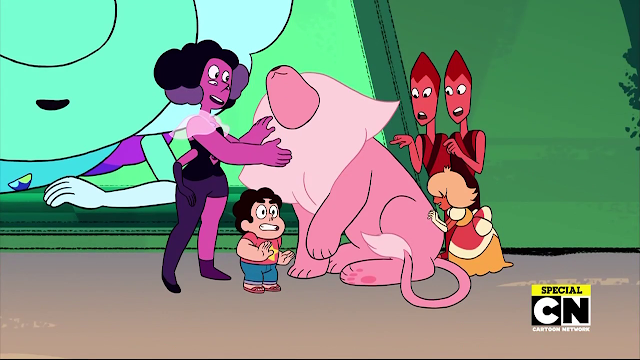 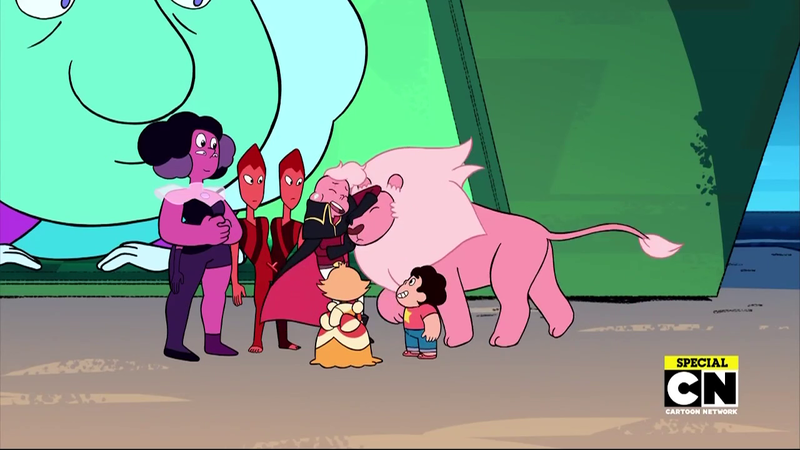 The off-colors have never seen a lion before. 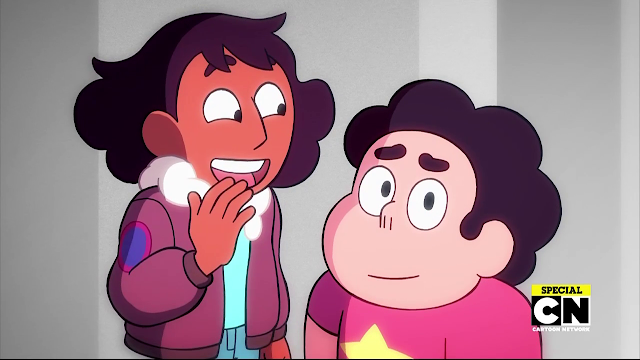 Greg and Pearl are even getting along. I guess we're going straight into uncorrupting everyone! 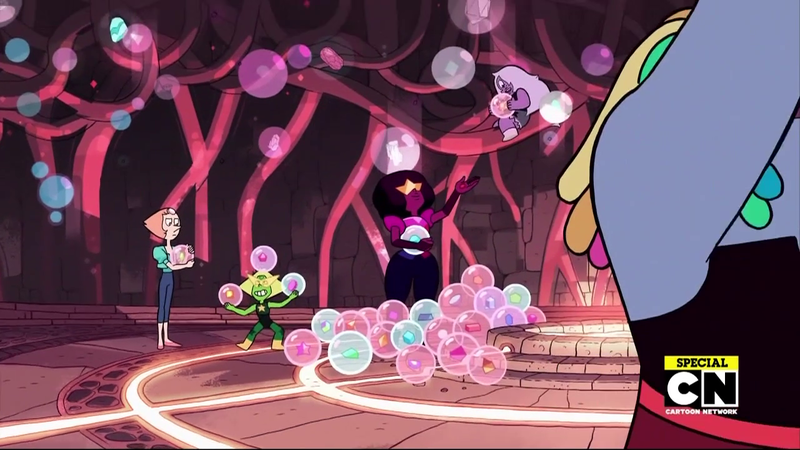 Peridot be careful with those! "I got Biggs!" I'm not crying you're crying! It's the gem that tried to eat Connie's bracelet in "Bubble Buddies"! And the puffer fish gem from "Beach Party"! The Heaven and Earth Beetles, uncorrupted and together at last! 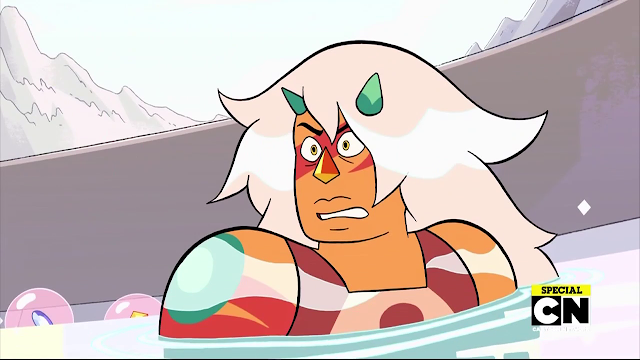 And the other Jasper from "Gem Hunt"! 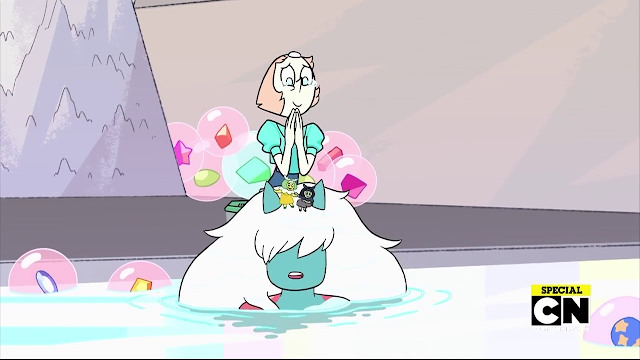 And she's got little horns! 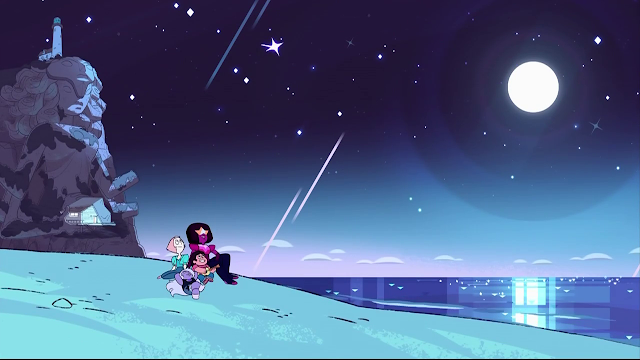 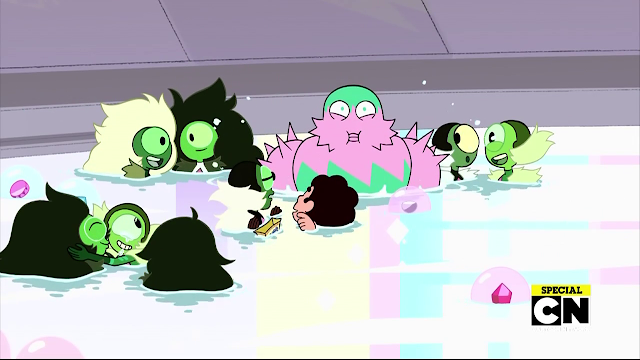 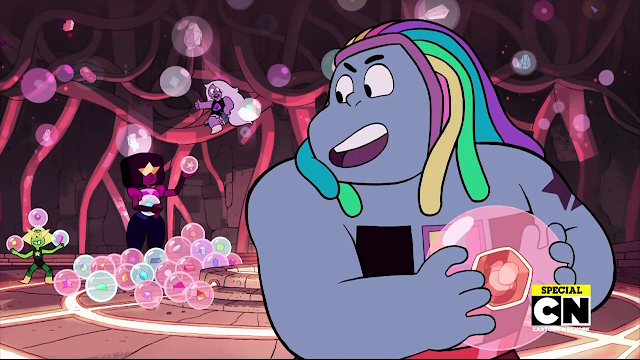 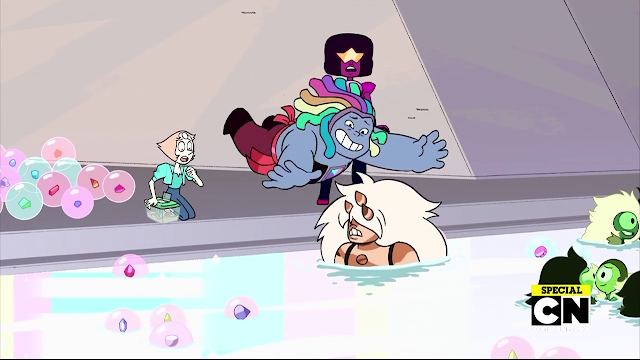 Fun fact: Amethyst says "hey sis" in this scene, although we don't hear it. 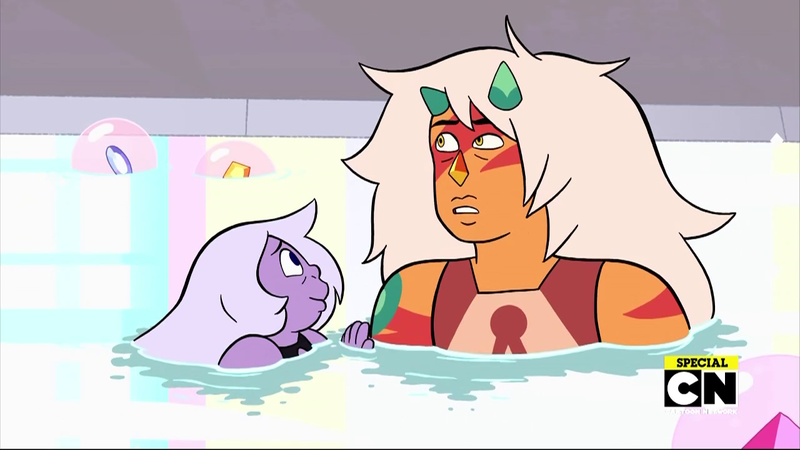 And Jasper probably doesn't know what a sister is. Look at this confused baby. 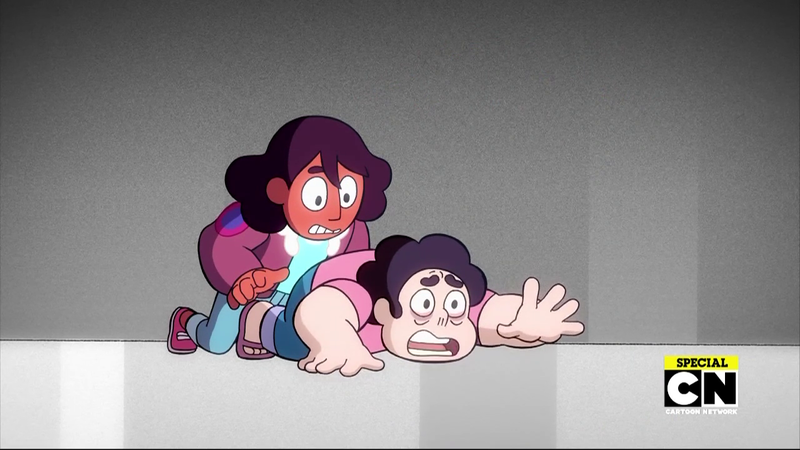 Someone save her! 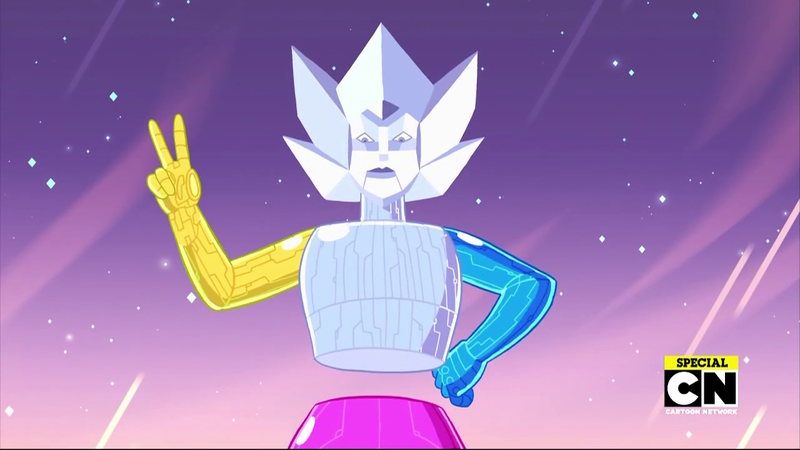 Well, good-bye to the Diamonds- Wait is anyone going to pick up the Famethyst?! 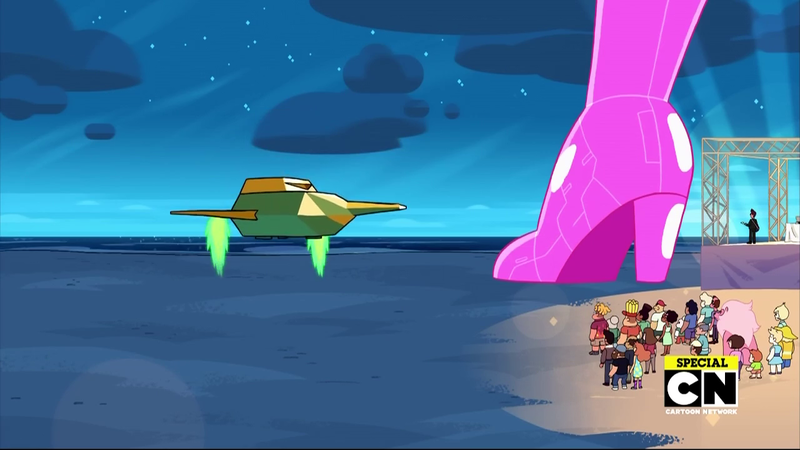 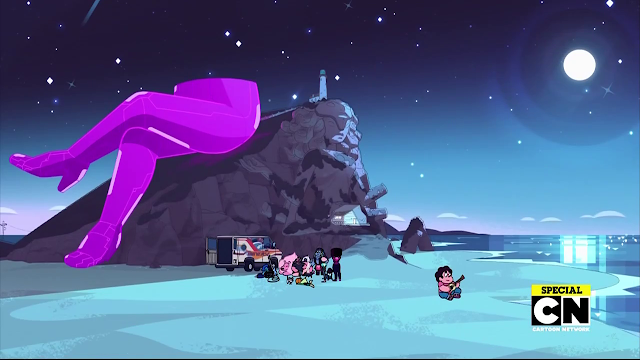 So I guess that leg ship is just going to lounge like that on the beach from now on? 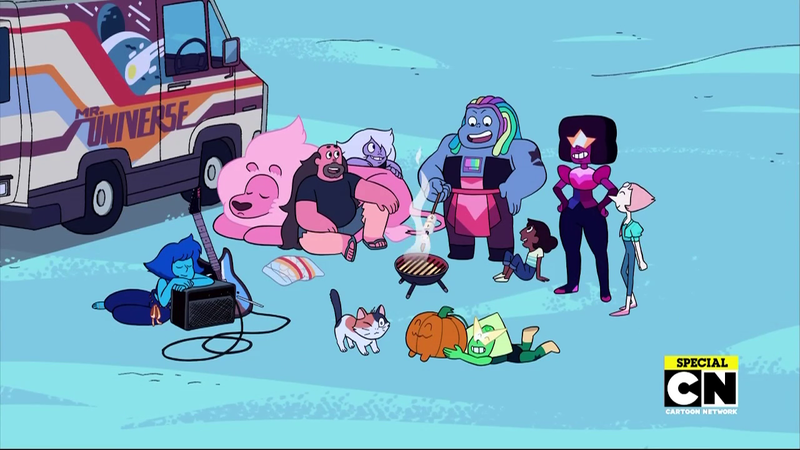 Gang's all here, even Cat Steven! 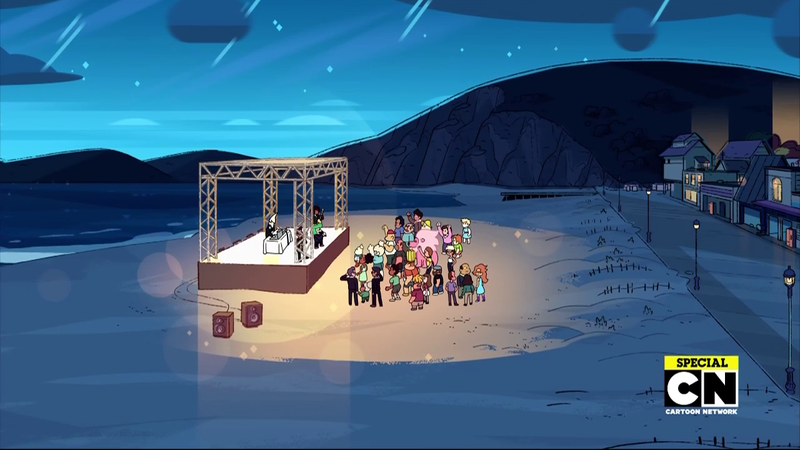 Similar to how Just A Thought began as a personal song instead of a song written for the show, this song was written by Sugar during the time she threatened to walk if Ruby and Sapphire couldn't have their wedding. 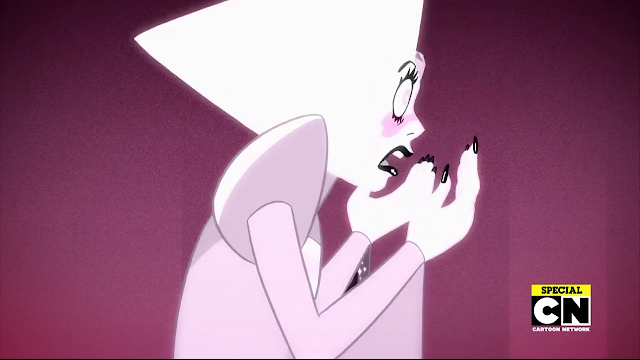 It's very short, but very deep and personal.